STAR POWER New doc on energy issues looks to the sun. Giant columns of smoke are the first images in the 2015 documentary Catching the Sun, which shows raw video from an explosion at the Chevron Refinery in Richmond. It's an ominous opening to an otherwise encouraging film about those working toward a cleaner, more sustainable source of energy: solar power. This weekend, Catching the Sun screens as part of the Social Action Goes to the Movies series at Congregation Shomrei Torah in Santa Rosa. The annual series is co-sponsored by 20 local synagogues, churches and community groups, and the theme this year is "Sparks of Hope." Following a cast of characters in Richmond, as well as other sites in the United States and China, Catching the Sun is a story of environmental and economic hope. With the cost of producing solar panels down some 80 percent in the last five years, solar power has a great opportunity to grow, and there are those who believe it will be the dominant power source within 25 years. 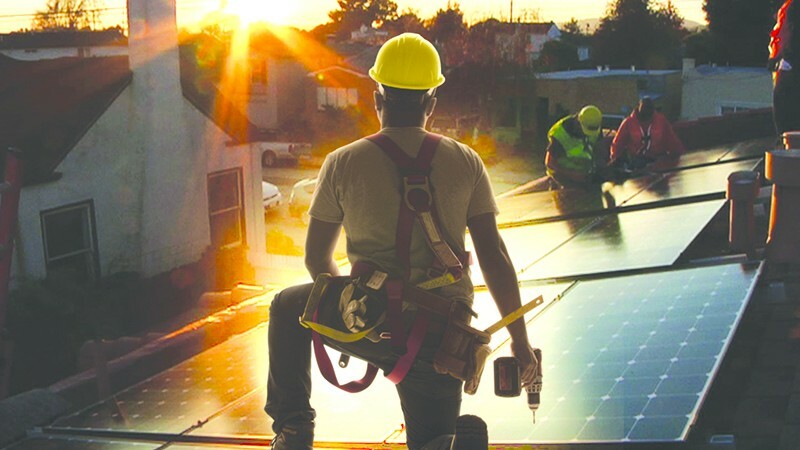 The film introduces us to a Chinese solar entrepreneur, a Southern Tea Party solar advocate and Oakland activist Van Jones, whose 2008 book, The Green Collar Economy, details how this new industry provides an opportunity to solve socioeconomic issues like unemployment. These individuals have different motives, yet they all agree on one thing: solar power is the answer. Local groups working on solar power will be on hand before and after the film to offer information. A panel discussion will also follow the film, featuring Geoffrey D. Smith, coordinator at Solar Sonoma County, a program of the Center for Climate Protection; Laura Goldman, educator, consultant and VP of Solar Works; Tor Allen, executive director at research and educational organization the Rahus Institute; and Alana Macken from the Center for Climate Protection's youth advisory board. 'Catching the Sun' screens on Saturday, Feb. 25, at Congregation Shomrei Torah, 2600 Bennett Valley Road, Santa Rosa. 7pm. Free, donations accepted. 707.578.5519.